OMP catalogue is a Product catalogue featuring the OMP Global Style products available to the New Zealand market. 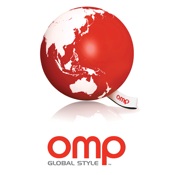 The Application allows you to browse the entire OMP Global Style range in an up to date, easy to use fashion. If you are after a specific product, simply use the search feature to find it. The application receives updates every day to ensure all available products are represented. Complete product listings with full descriptions, photographs, dimension drawings and scannable barcodes are included. You can then send the required information to an email address with images attached.